Masing being surrounded by reporters at Chief Minister’s Hari Raya Open House in BCCK here. KUCHING: Parti Rakyat Sarawak (PRS) will consider the idea of forming a ‘Borneo Bloc’, which was mooted by Sabah leaders and politicians, to leverage East Malaysia’s position as co-administrators in the federation of Malaysia. PRS president and Deputy Chief Minister Tan Sri Datuk Amar Dr James Jemut Masing said the idea of forming a powerful bloc that can represent Borneo was a very interesting one and worth considering. “I think it is about time we get together as fragments of parties in Borneo do not help us at all. We do that for the good of Malaysia, for a better nation and for a better federation,” he told reporters when met at the Chief Minister Datuk Patinggi Abang Johari Tun Openg’s Hari Raya Open House at Borneo Convention Centre Kuching (BCCK) here today. Now that the two Bornean states of Sabah and Sarawak have finally gained political autonomy following the departure of four Sarawak parties from Barisan Nasional (BN), Sabah leaders and politicians can see the possibility of realising the Borneo Bloc. Parti Solidariti Tanah Airku (Star) president Jeffrey Kitingan was reported to have said that Gabungan Bersatu, a loose coalition of Sabah parties, planned to meet with the Sarawak parties after Hari Raya to discuss about this matter. 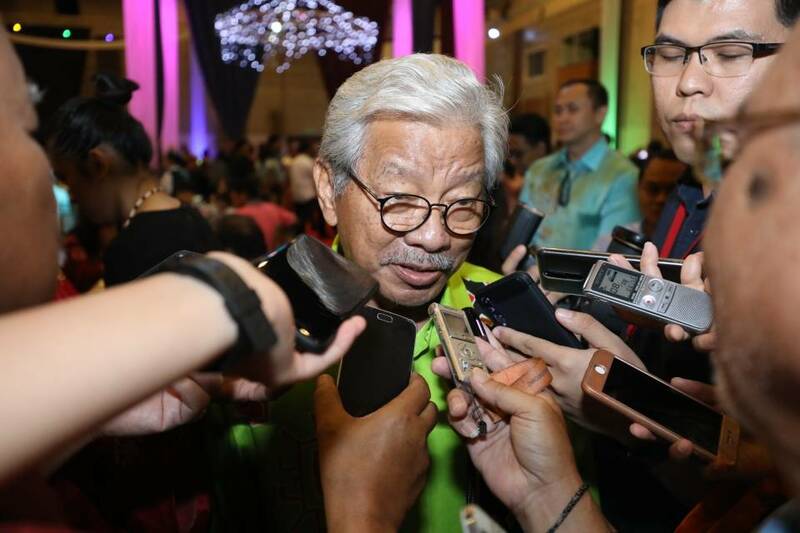 Having said that, Masing revealed that PRS will be holding its Supreme Council Meeting tomorrow to discuss among other things the possibility of forming one multiracial party in Sarawak. “We have to look into this very carefully and I want to get the input and suggestions from my party members,” he shared. “A single multiracial party will give no possibility of nudging each other when time to fight. Once fragmented and want to come in as a group, we will have problem,” he opined. While this suggestion has been brought up at the past BN Supreme Council Meeting, he however admitted that it was not well received. “Chief Minister was a bit quiet about it while the other parties are not too friendly with the suggestion but (I) haven’t given up hope yet. “BN lost not because BN as a coalition is bad. It is because Umno was too much in control, too dominant and that was why the problem arose,” he added. Hence with a new Sarawak pact, Gabungan Parti Sarawak (GPS), but with the same organisational structure, Masing assumed that the result of the next state election come 2021 will be the same. “That’s why we have to start now to get the structure correct especially on making sure there are genuine power sharing. That’s very important and nobody should be dominant in the coalition which was the problem with BN. “Umno was too dominant, so become too arrogant and they won’t listen to us even the leaders,” he said of the main factor leading to BN’s defeat in the 14th General Election, while noting that former prime minister Datuk Seri Najib Tun Razak and 1MDB were only minor factors. He warned that if GPS is not careful this time, the outcome may be disastrous come next election.